Russ has 20+ years experience working in the corporate audiovisual world. Starting his career working for CTC video (as Lead Videographer) and Presentation Services (as Assistant Director) while attending Northern Virginia Community College for general studies & Savannah College of Art and Design for Media Communications. 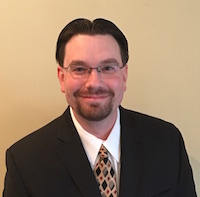 Eventually moving on to working for AVI-SPL becoming the General Manager for the Mid-Atlantic region in the Maryland production & staging office. The newest member of Three Rivers Entertainment Russ responsibility is that of Operations Manager & Sales. His clientele includes the US Army, Arthritis Foundation, NASDA, INIA, Bechtel and other various corporate and government groups.